Worldwide Business Opportunity for Distribution of top quality Ayurvedic herbal preparations. Balance Ayurvedic Products, located in California, USA, is seeking business partnerships in all countries (except India). All the products are manufactured in USA. Their assigned distributors get exceptionally competitive pricing and excellent customer service. No minimum quantity requirements for purchase. 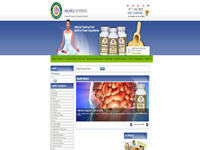 To contact the owner of the site please write to chandru@balanceayurvedic.com. Category Health, Stores and Shopping September 21, 2012 by ISKCON Desire Tree. A blog containing the Original Audio of His Divine Grace A.C. Bhaktivedanta Swami Prabhupada as well some Back to Godhead magazines and updates on Bhaktivedanta Vedabase. Category Blogs, Book Distribution September 28, 2012 by ISKCON Desire Tree. 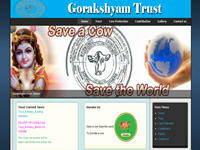 The official website of Gorakshyam Trust, which aims at cow protection as well as to promote Krishna Consciousness. Presently, the Trust shelters around 250 cows. Category Cow protection September 12, 2012 by ISKCON Desire Tree. The website which will help us get a clear understanding of what are the standards of Vaishnavism according to the teachings of Srila Prabhupada. It presents the standards of Grhasta Ashram in English as well as in Spanish. Category ISKCON Ministries, Organizations September 29, 2012 by ISKCON Desire Tree. The latest version of Mayapur Vaishnava Calendar. 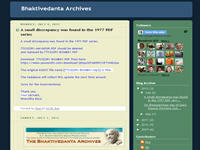 This site contains the Vaishnava Calendar, details about the Vaishnava events, Email Reminder Service, etc. Category Vaishnava Calender September 12, 2012 by ISKCON Desire Tree. 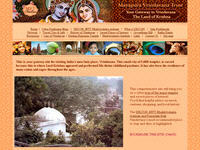 The official website of Mayapur Vrindavan Trust. It will bring you on a cyber tour of the major temples and sacred places of interest. The website gives detailed information of the holy places in Vraja. Category Tourism September 18, 2012 by ISKCON Desire Tree. 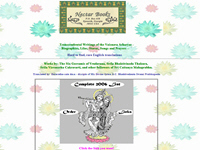 The website where you can buy the rare transcendental Writings of the Vaisnava Acharyas, such as that of the Six Gosvamis of Vrndavana, Srila Bhaktivinoda Thakura, Srila Visvanatha Cakravarti and other followers of Sri Caitanya Mahaprabhu along with their English translations. Category Reference & Encyclopedia, Stores and Shopping September 22, 2012 by ISKCON Desire Tree. A devotional blog contaning Srila Prabhupada’s quotes, some verses of Bhagavad Gita with their tranlation and purport by Srila Prabhupada as well as other articles on spiritual topics. 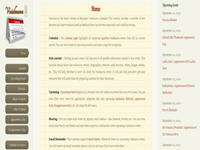 Category Blogs September 28, 2012 by ISKCON Desire Tree. The official website of Stanford Bhakti Yoga Club which presents articles of all the recent events, recipes, etc. Category Organizations, Yoga September 28, 2012 by ISKCON Desire Tree. 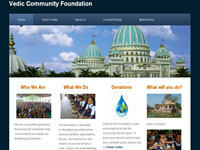 The official website of Vedic Community Foundation, which provides Charitable Financial Planning to donors in the US. At the same time, the Foundation also provides a forum for those nonprofit organizations throughout the world to list their projects so that prospective donors may become aware of such worthy effects. Category Charitable Foundations September 12, 2012 by ISKCON Desire Tree.